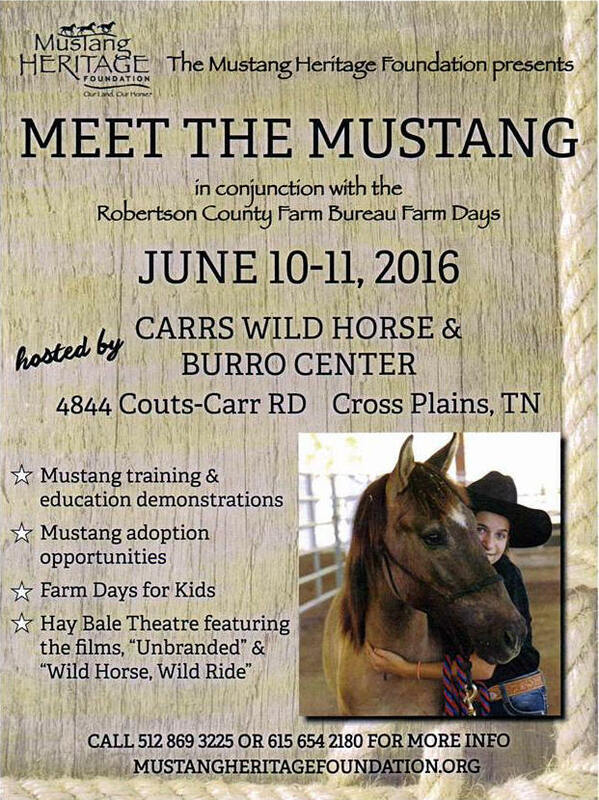 The Mustang Heritage Foundation's "Extreme Mustang Makeover!" 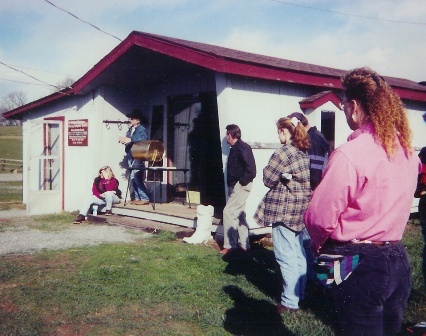 Randall & Paula Carr's Wild Horse & Burro Adoption Center is one of Robertson County, Tennessee's oldest and best known tourist attractions, drawing visitors and potential adopters from almost every state in the union for more than two decades. "We've been in the business of finding good homes for horses and burros for a long time, and we want to find high quality adopters for all our animals," says Paula Carr. "A good, loving home with the means to feed and care for each animal is our goal." 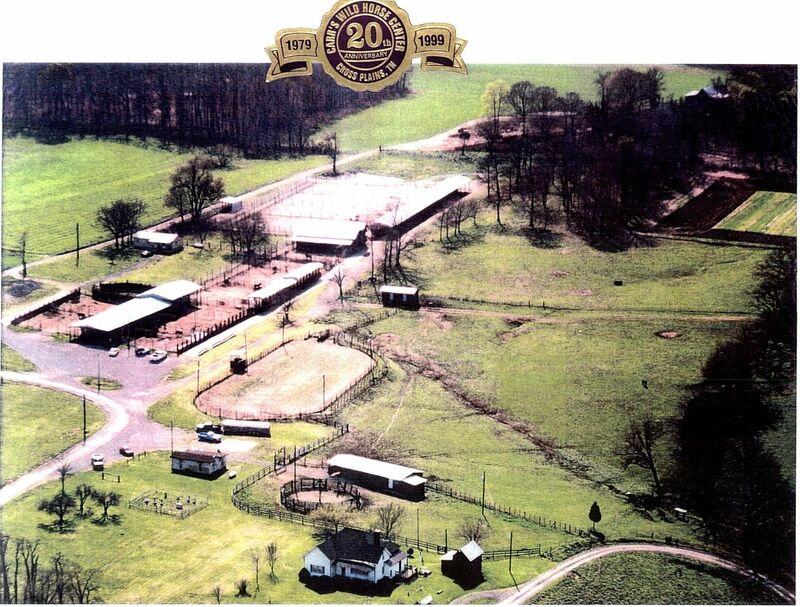 Carr's facilities have processed over 20,000 animals since 1979 ? not only adopting but holding, sorting, vetting, hoof trimming, and medical attention. This has been the site for many Government meetings, many well known horse trainer?s shows, a Wild Horse and Burro Days celebration event held every year for 15 years, and a Horse show competition with high money and trophy awards. Many horses and burros have been trained for the general public. The facility includes a "Horsepital" for recovery for sick or hurt animals. 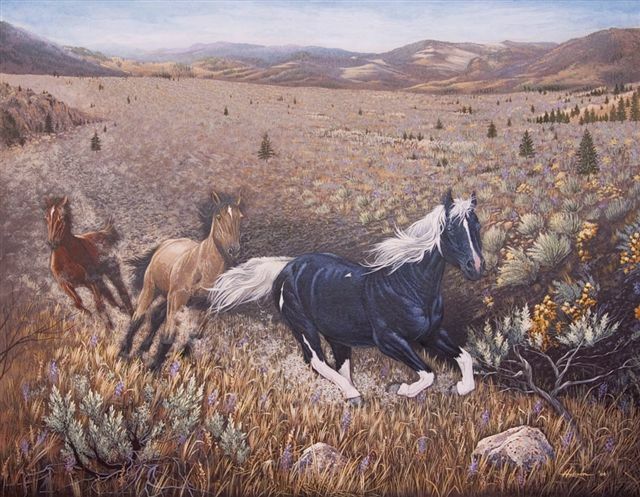 Carr's Wild Horse & Burro Center is located with easy access to Interstate highways, for easy semi-truck turnarounds and off loading. In December of 2006, and again in January of 2010, Carr?s Wild Horse Center received the Satellite adoption contract for three years. We have won this contract every three years since 1980. Randall and Paula take a semi with panels and trucks with gooseneck trailers full of water buckets, hay, tolls, and haltering chutes to a designated place and set up for horses and burros arriving to be adopted out for the weekend. 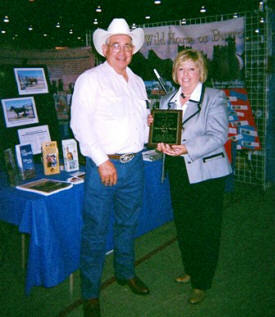 In 2005, the Carr's were inducted into the Wild Horse & Burro Hall of Fame: Paula says, "This was the most exciting award we have ever won. We feel very honored to have receive it." See www.mustangheritagefoundation.org for more. The Mustang Heritage Foundation is a 501c3 public, charitable, non profit organizati0on dedicated to facilitating successful adopting excess mustangs and burros. Paula is in Top 5 Again! 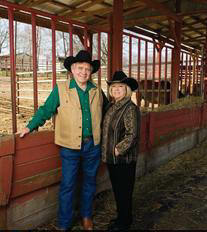 Paula was elected Robertson County Bureau Chairman for two years 2004 ? 2006. 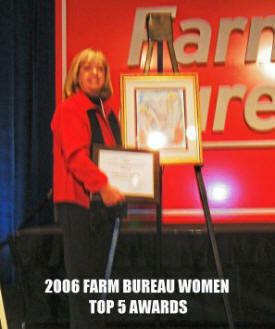 She won their highest award, "Top 5 Farm Bureau Women" out of 91 other counties. In 2008 she was again in the Top Five and 2009 she was in the Top Ten Farm. The purpose of this Committee is to assist in an active, organized way in carrying forward women, namely, better educational, social, and spiritual opportunities for rural people, and the development of a more wholesome, healthful, and abundant country life.